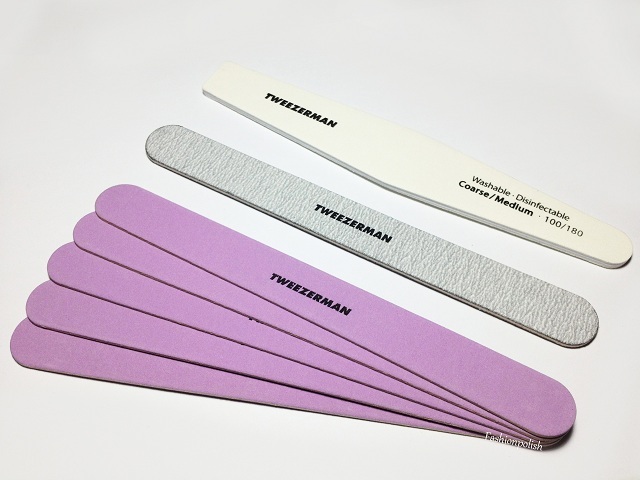 Fashion Polish: Perfect nails with Tweezerman! Premium Emery Board : ultra durable for optimum filing,150/220 grit. These files are perfect for shaping out shortening your nails with no effort. I still use my glass nail file for every day but if I need to get the job done very quickly, I must confess that I still go for them. The Satin etched Zebra Clipper Set includes a fingernail clipper and a straight-edge Toenail Clipper. 100% Stainless Steel and 100% sanitize-able. 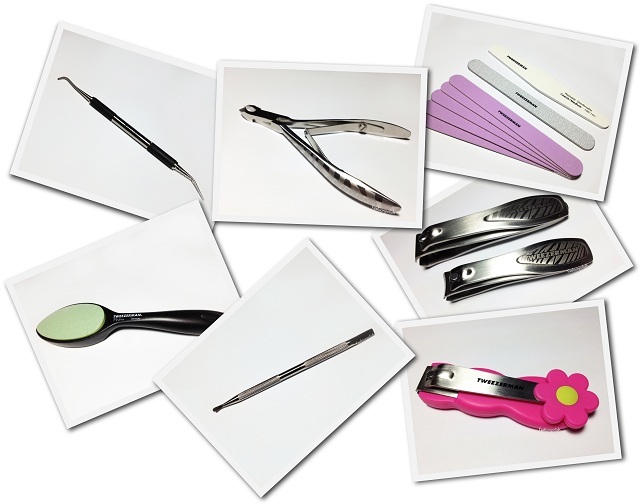 They are sharp and precise, perfect for a harmless, split free, pampered, and lovingly trimmed look. I haven't used a clipper on my finger nails for years but I tried them on hubby and the result is an easy and neat cut. The Perfect Power Nail Clipper is just as "perfect" as the zebra clipper set but comes in the cutest girly floral design. I love that the plastic parts is rubbery, it allows extra grip and precision, especially if you want to use it on kids. 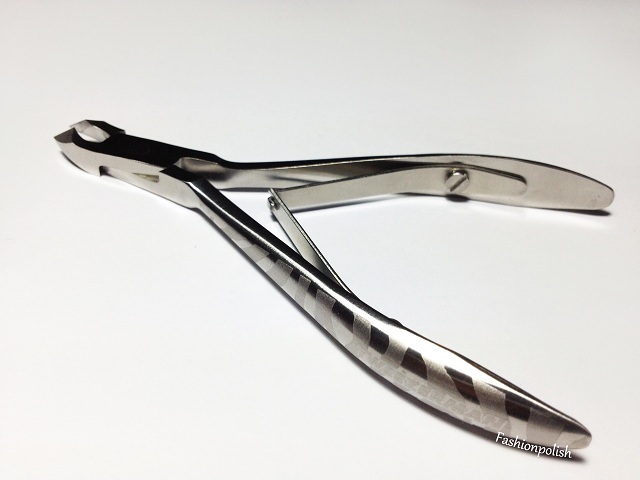 The Satin Etched Zebra Cuticle Nipper comes in the same zebra design as the clipper set. 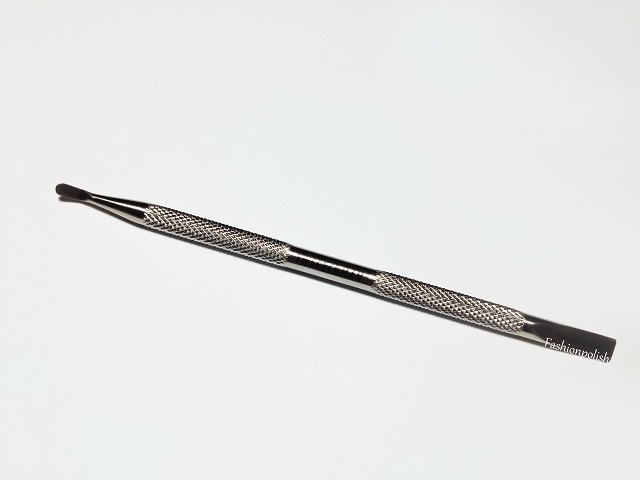 Sharp and ultra precise, it's the perfect tool to remove dry skin around the nail. I don't think I've ever used a better nipper! Just remember to be gentle on your cuticles and never ever cut live skin or it will grow back (and worse). The Pushy and Nail Cleaner helps you push back cuticles and clean under and around the nails both in an effective and gentle way. I have used many stainless steel pushers and I love these as they aren't too hard on your nails and don't scratch the nail plate. I would definitely recommend them, even to first-timers. The Master Tech Ingrown Toenail File and Cleaner is meant to help relieve the pressure of ingrown nails (file end) and clean under and around the nails (pointy end). I don't really have a use for the file end but the curved one is just the perfect size to access the hardest parts. 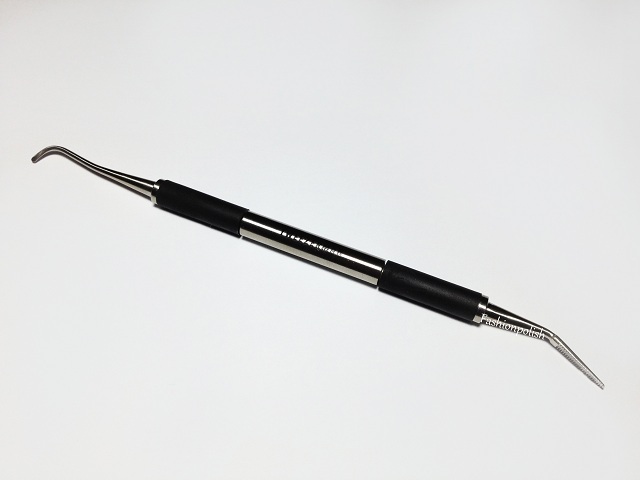 The Pedro Callus Remover is a high quality two-sided ceramic stone that allows you to reduces calluses (rough side) and smoothen skin (fine side). It's not too heavy and offers a very good grip. Combined with a good foot cream, you'll have baby smooth feet in no time! I am very impressed by the quality of these tools, they all look so sturdy and professional! Of course, I expected no less from Tweezerman but I'm glad to see that they deserve their reputation. The quality completely justifies spending a little more for gentle and long lasting tools. For more information, please refer to tweezerman.com or Tweezerman on Twitter / Facebook. These look like great products! I'd really like to try out the cuticle nipper especially! 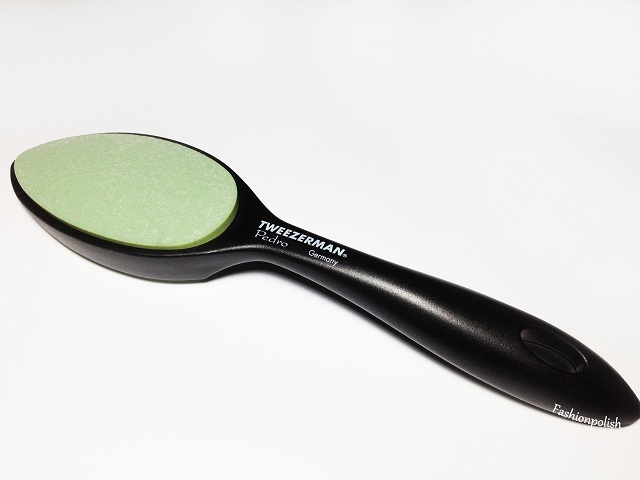 Used to be Tweezerman was next to impossible to find outside of top end beauty supply and some high end dept stores. Now I see it in my Rite Aide - but not always the tools I want. I am addicted to super fine point tweezers guess it's cause that is what I leaned with. I have a ton of clear hairs under my brows that need those with super fine tips. 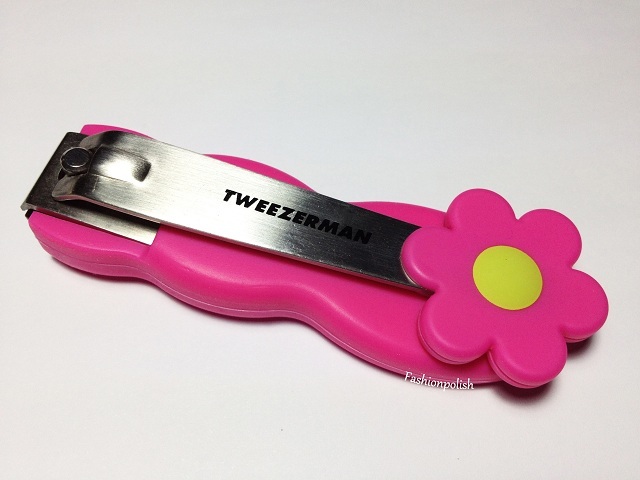 Nothing has ever worked as well for me in tweezerland as Tweezerman. I never seem to send 'em in to take up their lifetime warranty to fix bent tips and what not however. I do find I like another brand for a pedi file however - it's called FotFile or sometimes it's called Swedish Clover. I see some knock offs of it now days. Sally's has the real one most of the time when I look - but I found one in Rite Aide that was like the real thing. Honestly, I have had my original for more than 10 yrs...the thing never goes on me. 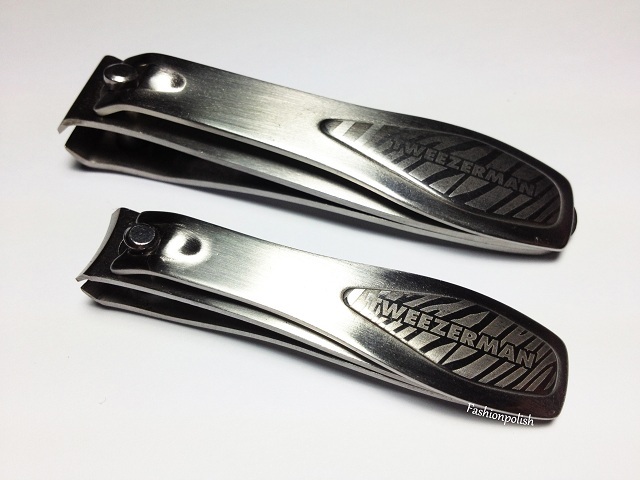 Before that I would go through foot files like this one from Tweezerman in a month. In summer, I do my feet every other night. Should do 'em as often in the winter as that is when I really seem to get more dead skin build up on heels and side of big toe. For nail files I only use glass ones. Got hooked on 'em about 5 yrs ago and nothing else will cut the mark now. @Kelly I really love the nipper! I've tried so many that proved to be poor quality in the long term but this one really looks sturdy. I'll definitely report back in a few weeks.